The simplicity of a single glowing candle, or sipping on a warm mug of tea with friends on a cold morning are both examples of creating the feeling of hygge. If you’re in the process of planning a winter wedding, incorporating a little hygge into your big day will make your guests feel welcome and present as they celebrate this new chapter of your life as a couple. 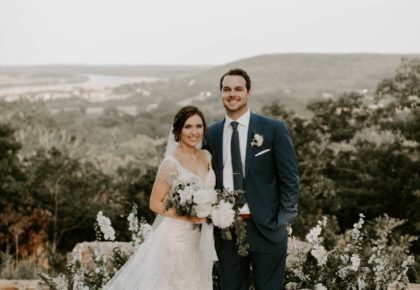 With that, we’ve compiled a list of our top ten ultra-cozy Oklahoma wedding venues, filled with rustic charm and warm, inviting character that are sure to make your day absolutely unforgettable! For even more winter wedding inspo, make sure to follow us on Pinterest, and pick up your copy of our latest Fall/Winter 2018 issue. Happy planning! 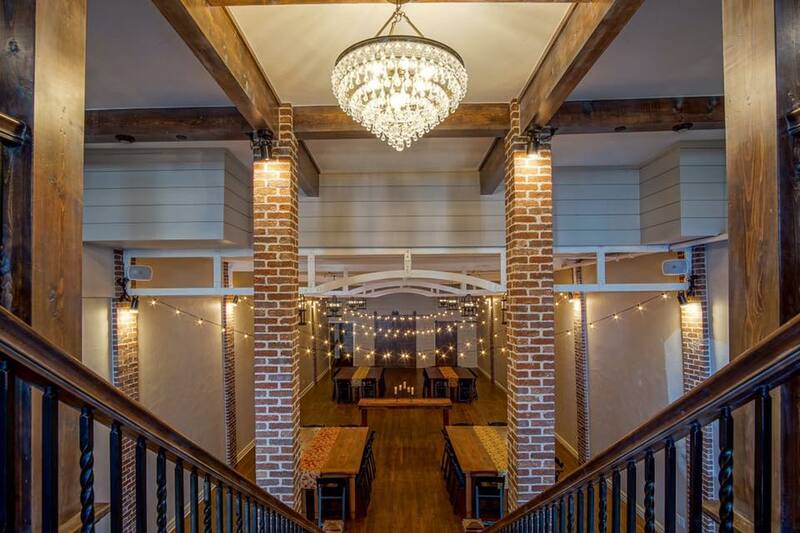 The Hall at the Railhouse – One of Norman’s premiere wedding venues, The Hall at the Railhouse combines steel, brick and wooden details to set the scene for gorgeous industrial contrast. 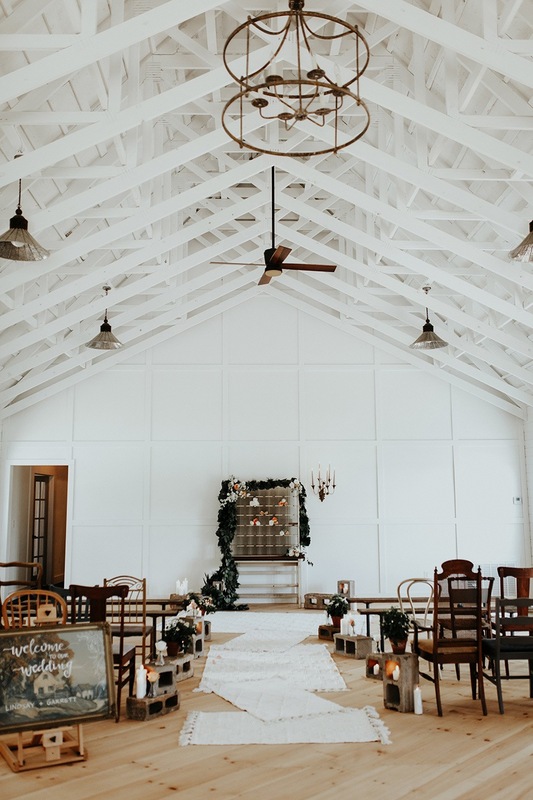 The Hall offers both indoor and outdoor venue space for guests to roam freely during the ceremony or reception and serves as a blank slate for brides to customize for the big day. 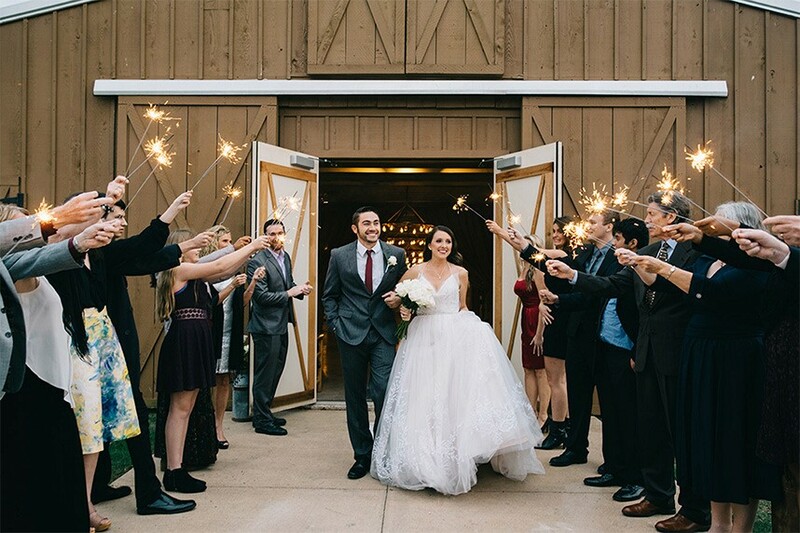 Tatanka Ranch – Opting for a cozy venue like Tatanka Ranch will cultivate such a beautiful sense of nostalgia while leaving your friends and family with warm and fuzzy memories from your big day! 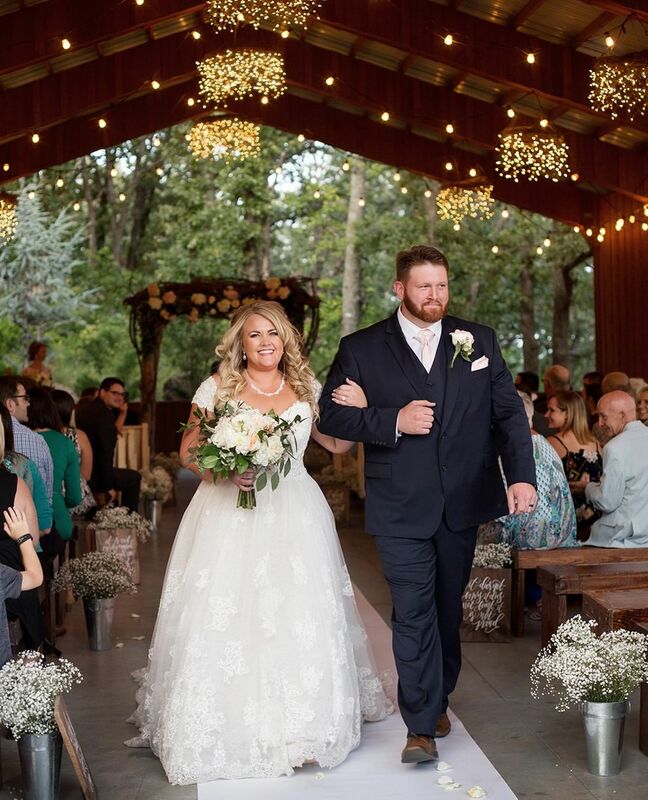 Tatanka Ranch offers special three-day packages with lodging for brides that want their guests to come, enjoy and stay a while. With a variety of locations on their spacious grounds for receptions or ceremonies, their staff is dedicated to making sure that every second goes off without a hitch! Festivities Event Center – Originally constructed in 1915 as a post office, the historic two-story Georgian-style building is located only 25 minutes west of Oklahoma City in El Reno. In 2001, Festivities was privately purchased, and renovations began the same year with the restoration of the original hardwood floors, 10-foot windows, 16-foot ceilings, marble walls and tile floors. Using both the inside and the outside courtyard area, crowds of up to 400 can be accommodated for your big day! Harn Homestead – Located in the heart of Oklahoma City and spanning nearly 10 acres, Harn Homestead boasts several historic replica buildings appropriate to the territorial years of Oklahoma. Among these buildings stands a large barn and adjoining gazebo, creating the most picturesque setting for both your wedding and reception. Harn Homestead is pleased to provide tables and chairs to set the scene for your big day. 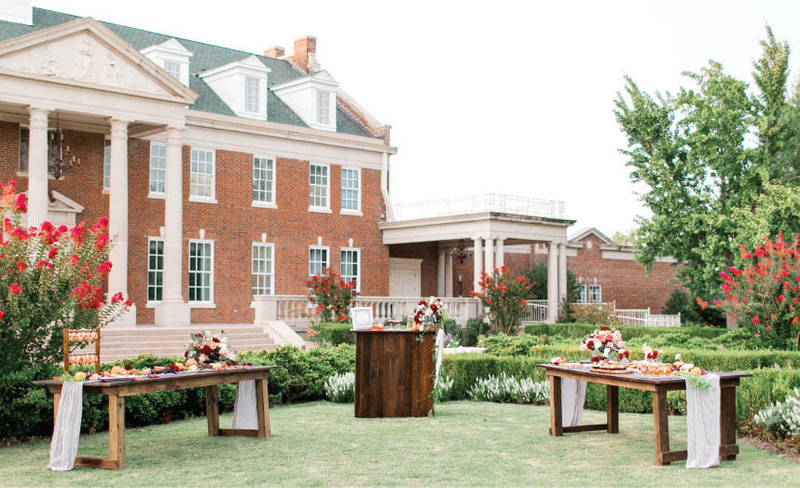 We just can’t get enough of the gorgeously rustic feel of this Oklahoma wedding venue! 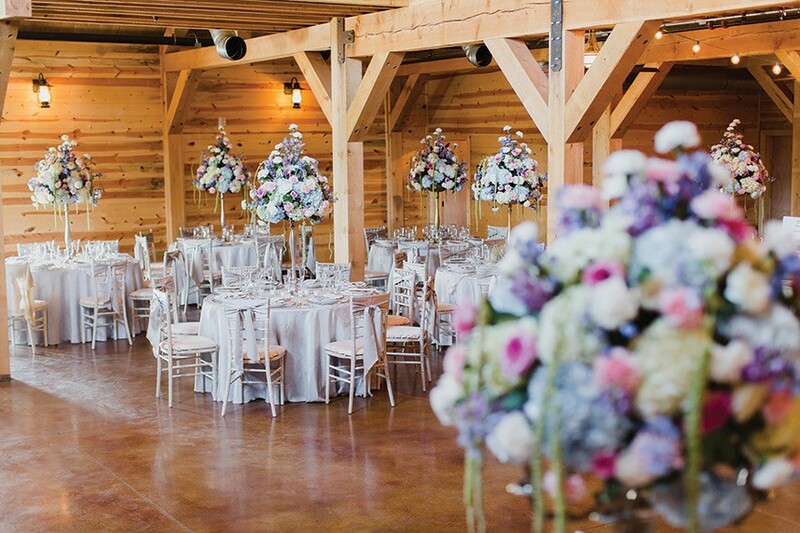 Moore Farms Rustic Weddings & Event Barns – Moore Farms is a beautiful setting for your wedding, featuring an elegant and rustic flair. The pavilion is available next to the barn, nestled within a canopy of gorgeous oak trees. 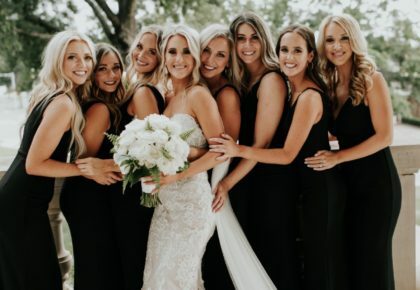 A private bridal cabin offers a sanctuary for the bride and her closest friends, and is located separately from a bunkhouse for the groom and his groomsmen. 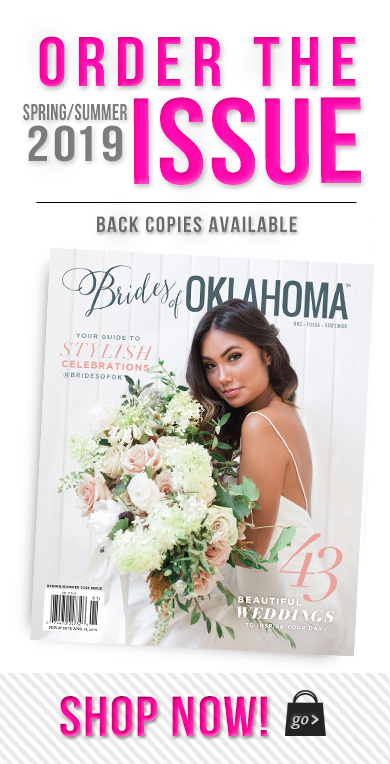 Resting gracefully on 1,000 acres of picturesque Oklahoma countryside, you’re sure to create an unforgettable celebration for both you and your guests! The McGranahan Barn – The McGranahan Barn is an Oklahoma family heirloom that has been passed down through generations. The massive wooden barn is the crown jewel of the property, with its huge sliding doors, vaulted and beamed ceilings and spacious interior. 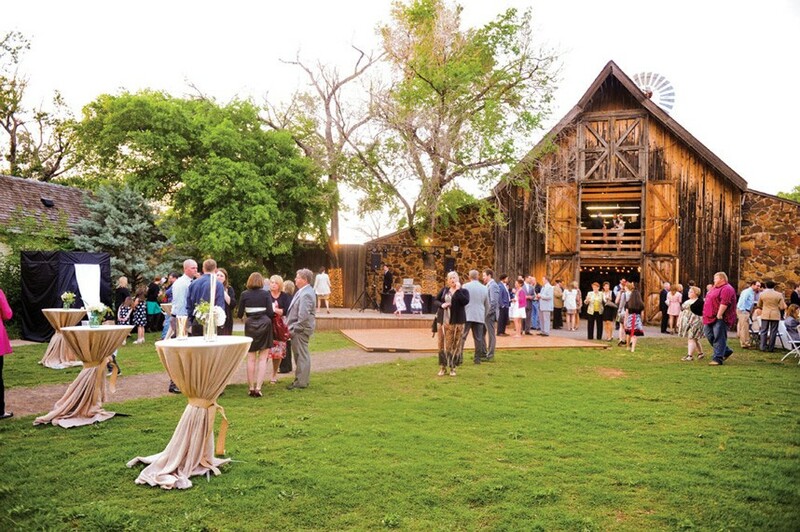 The McGranahan Barn brings Oklahoma’s authentic, rustic beauty to life on acres and acres of gorgeous rolling plains. 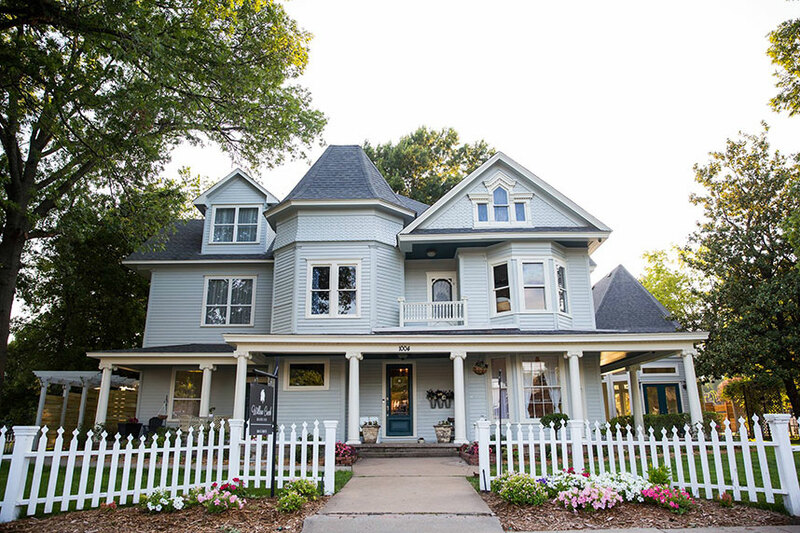 The Dominion House – Located in Guthrie, The Dominion House offers a breathtaking wedding garden, elegant grand ballroom and charming chapel for your big day. 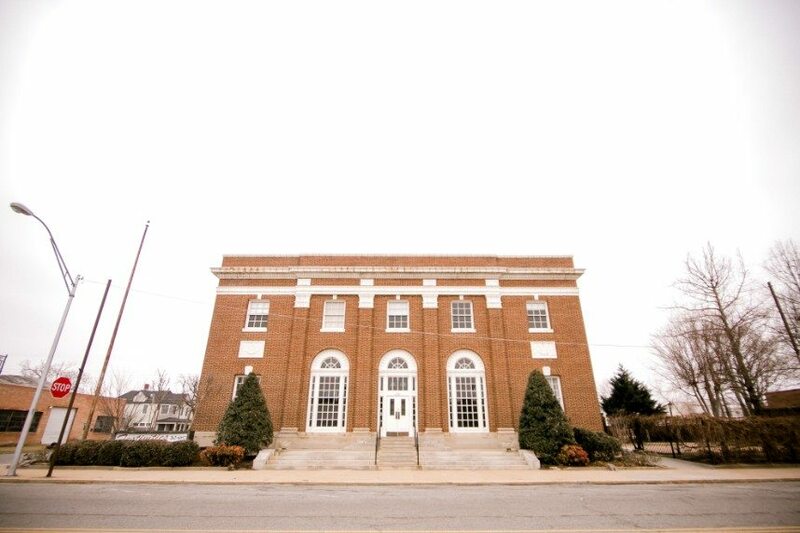 The historic beauty and elegant details of the Dominion House create the perfect setting for your celebration. We’re absolutely swooning over the idea of your wedding photos being staged in front of such gorgeous red brick and stately pillars! 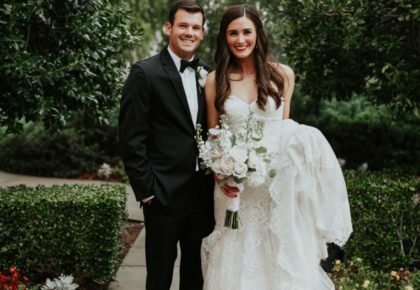 The Farmhouse at Grassroots Vintage Events – Featuring an all-white interior, cathedral ceilings, farmhouse lighting and pine wood plank flooring, The Farmhouse at Grassroots Vintage Events beams of Southern hospitality that’s perfect for any bride’s vision. 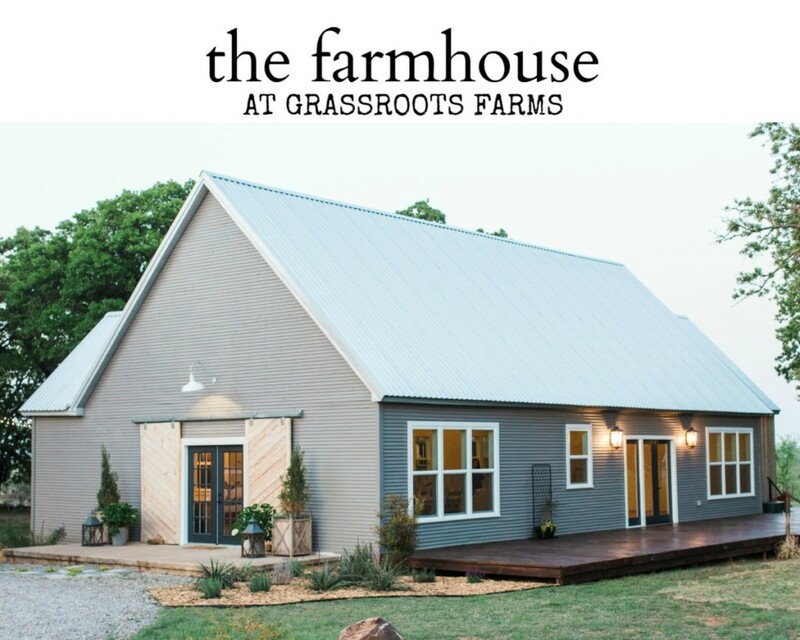 The Farmhouse is located on 50 acres of farmland in Pauls Valley, Oklahoma. 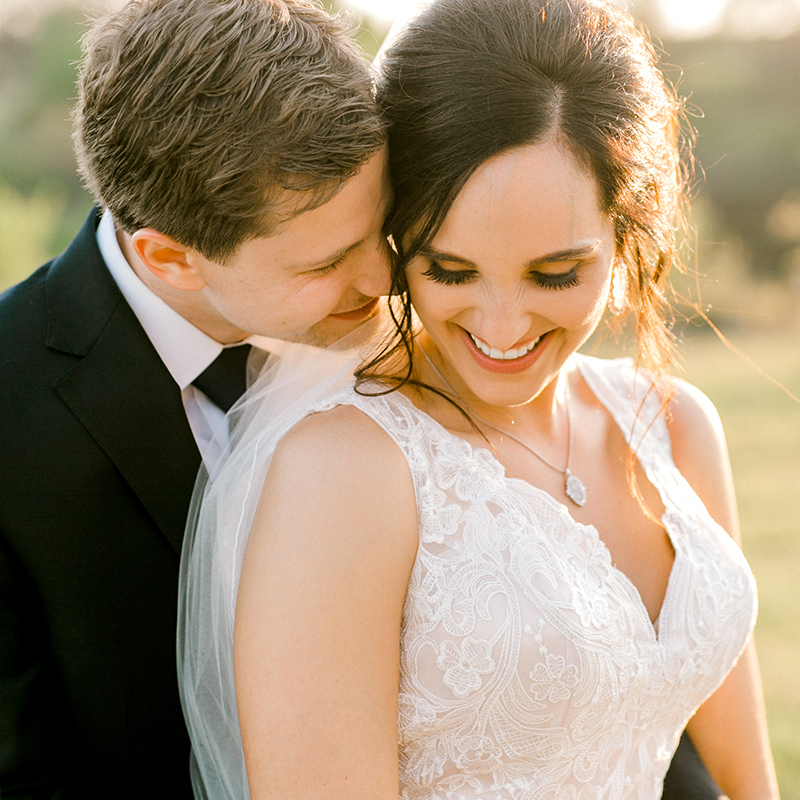 With a vintage rental warehouse on site, Grassroots Vintage truly makes your wedding planning experience a breeze. Three Twenty on Main – Opened in March 2017 and located in historic downtown Claremore is the beautifully rustic, yet elegantly modern Three Twenty on Main venue. This breathtaking space possesses two-story ceilings, brick columns and a grand staircase with iron accents and crystal chandeliers. 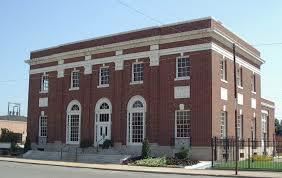 Three Twenty on Main can comfortably accommodate up to 150 guests, so its perfect for large or small gatherings. 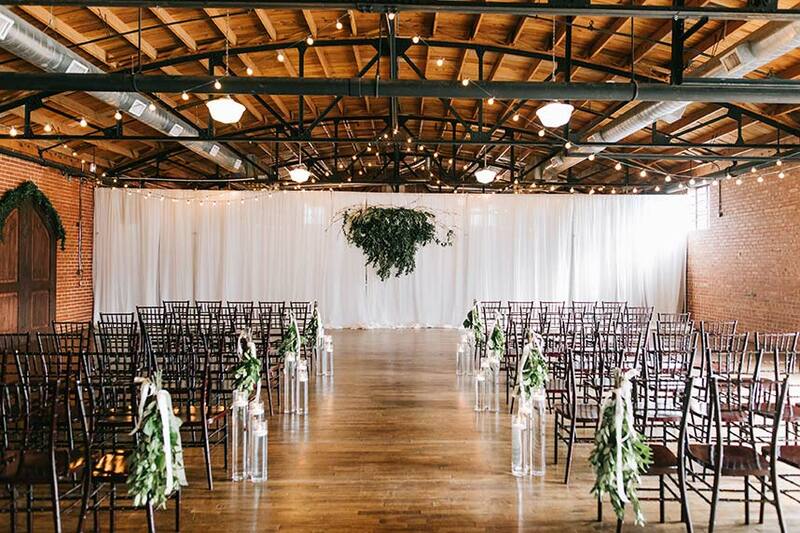 With farm tables, chairs, a catering kitchen, bridal loft and rehearsal spot included, Three Twenty on Main truly has it all for your big day!